Were having problem getting the sound from the Surface Pro 3 to my TV through HDMI. It worked before upgrading so Windows 10 had a different behavior. Found this http://answers.microsoft.com/en-us/surface/forum/surfpro3-surfusingwin10/no-hdmi-sound-after-upgrade-to-windows-10/45c740da-5326-48a1-9be5-1e84dca50ae8 on the internet, though it might be good to write down so I'll remember next time. Right click on the speaker icon, on the task bar. change the default format for audio playback to a lower value. The required version of Visual Studio Tools for Universal Windows Apps is 14.0.23121.00 D14OOB. and from there I installed the templates and after that the error message when creating a background application disappeared. 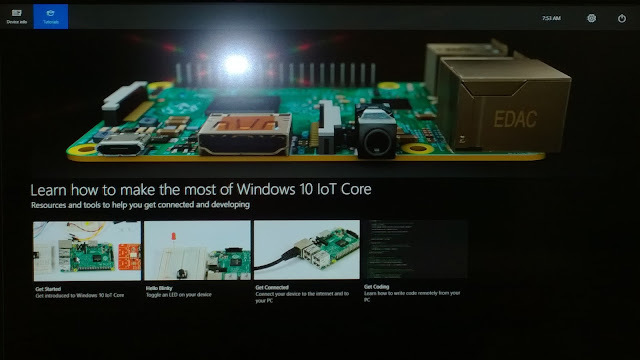 Have been playing around with an Raspberry Pi 2 and Windows 10 IoT Core. 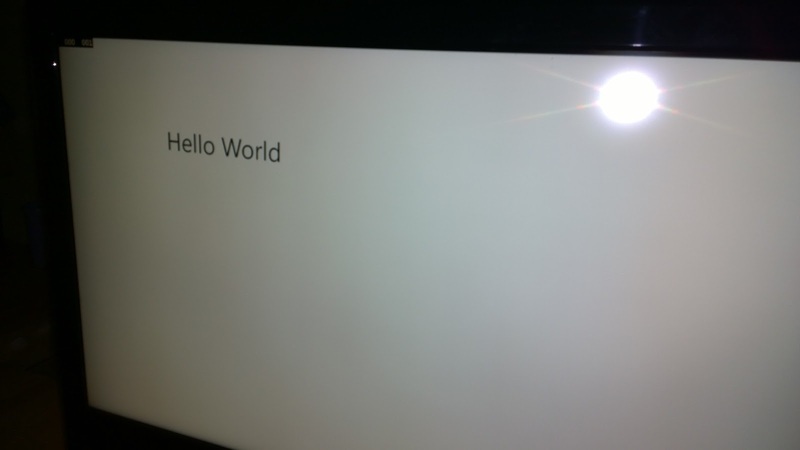 There is a great guide on how to prepare your PC and Raspberry Pi 2 with windows 10 IoT Core here https://ms-iot.github.io/content/en-US/win10/SetupRPI.htm following the guide is easy. But I don't get the requirement for Windows 10 to be able to flash the image to the memory card. But off course to be able to develop you need Windows 10 and Visual Studio 2015. I tried to get the wifi up and running but windows 10 IoT Core seems to only support some USB wifi dongles https://ms-iot.github.io/content/en-US/win10/SetupWiFi.htm So ended up using ethernet cable. By right clicking the item it's possible to open the website on the Raspberry Pi 2 <ip-adress>:8080.